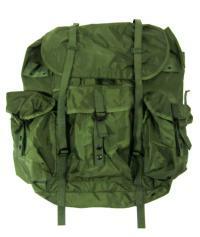 This is the LC-1 Large ALICE Combat Pack. These were made on contract in Korea for a foreign Naval Special Operations group to the same specs as the U.S. production model. New ones are hard to find, and these are brand spanking new. Supply is limited,and a BARGAIN at this Sale Price! The main compartment has over 2200 square inches of space, and features an interior radio pocket with webbing V-support of 1" webbing with a cinch buckle. 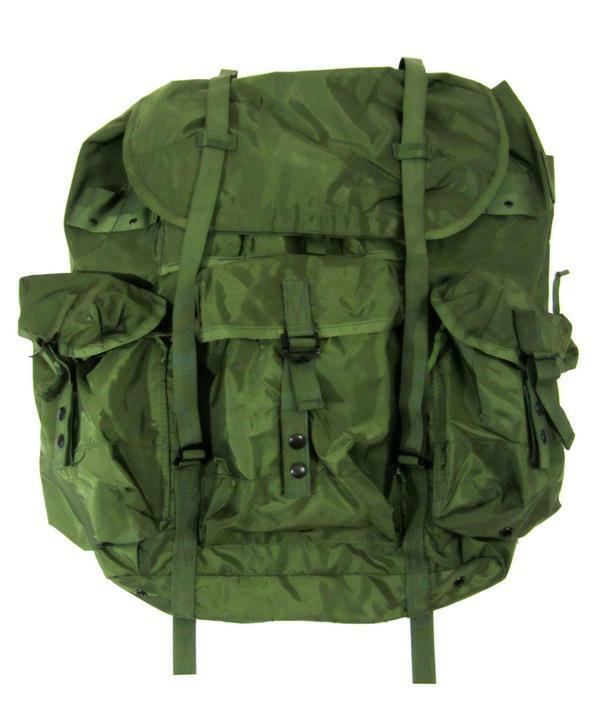 This can carry loads of up to 70lbs, features overall cinch straps, six external pockets, drain grommets on the bottom, and a padded shoulder area to slip the Frame into. All Large Packs must be used with an Aluminum frame; you cannot attach Shoulder Straps and use the pack. Frame and Shoulder Straps are not included with this item. Overall Dimensions: 22'' x 20'' x19'' (55.9 x 51 x 48cm) • Load Capacity, Typical: 70lbs/31.8kg. NSN: 8465-01-019-9103.